When tea drinking first became fashionable in Europe, it is likely that there was little distinction between pots made for tea, coffee and chocolate. However, by the first decade of the 18th century, the form of the teapot as we know it today was beginning to emerge. 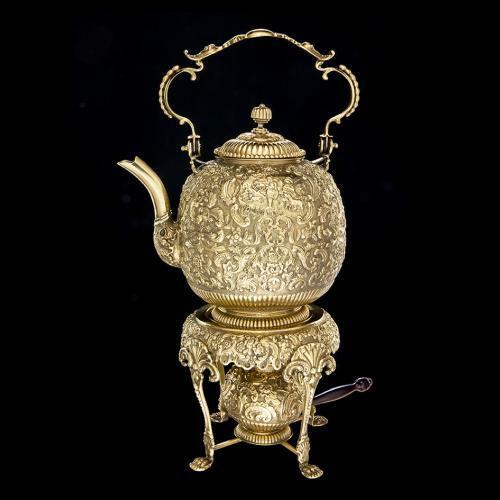 Made in 1701, this small silver-gilt example by Adam Loofs is one of the earliest surviving examples of what became the teapot’s established form. 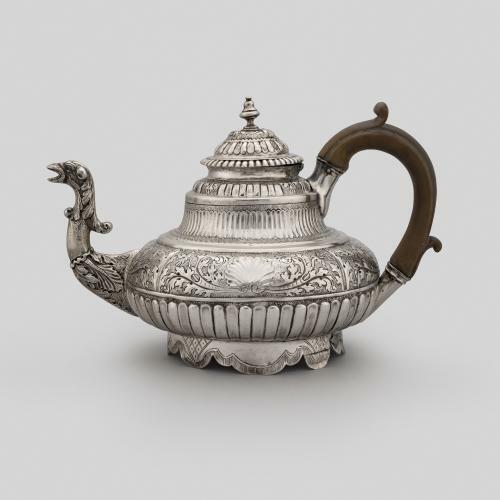 Loofs was the court goldsmith to William III, King of England and Stadtholder of the Netherlands and was responsible for bringing Parisian design and techniques to The Hague, where this teapot was made. While the cartouche on the front of the pot is original, the initials inside it were added later (ca. 1820-1830) and probably belong to Adolphus, Duke of Cambridge, the seventh son of King George III. It is likely that the pot was originally made for an English patron.